Aesthetics, Politics, Philosophy and New Emergences in Current Electronic Music and Surroundings. 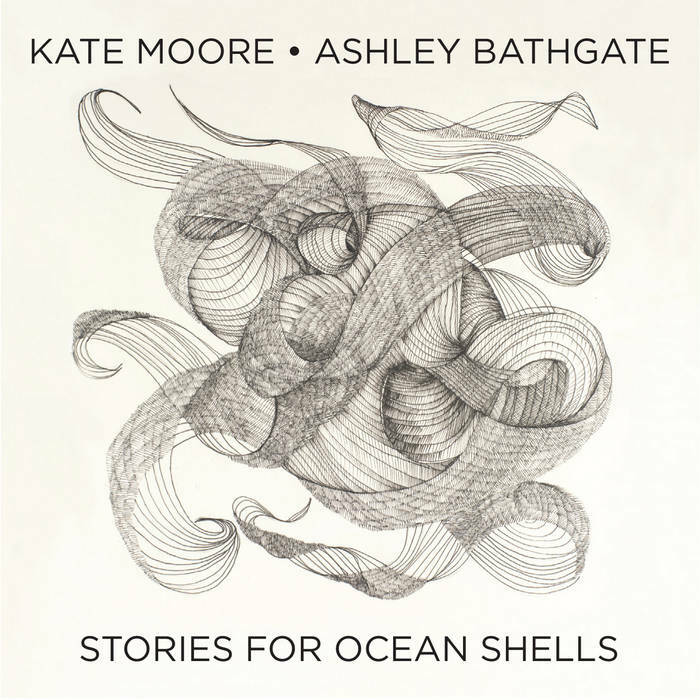 Kate Moore (AU/NL) – Composer of new music creating worlds of sound for acoustic and electroacoustic media. She also writes instrumental music, concert music, sound installations and more. Rozalie Hirs (NL) – a composer and poet, whose work principally concerns the adventures of listening, reading and of the Imagination. Australian pianist Zubin Kanga with electronics artist Ben Carey, will premiere my work Bestiary for piano and electronics on tour in Australia in October 2016. This piece will be performed as one of a collection of pieces by composers from all over world. The program is entitle Cyborg pianist and will be performed at WAAPA, The Melbourne Recital Centre and The Sydney Conservatorium of Music. Bestiary is a sonic compendium of grotesque imaginary beasts, that float between heaven and hell. Epic and symbolic animals that are animated in music, twisting and twining around each other, writhing and seething in knotted ornaments with pulsating bodies of skin, fur, scales, feathers, hair, beaks, teeth, claws and nostrils. Drawing you in, they peep around the corner and look at you up and down as they guard the shadows with ferocious jealousy. Kate Moore plays The Peace Cello made by Dutch luthier Saskia Schouten. The cello, completed in 2016, is Saskia’s 50th cello. It is marked by a Peace sign inlay made of Ebony and Peer. The peace sign commemorates the Bataclan attacks in France and the proceeds of this instrument have been donated to Musicians Without Borders. “War divides and music connects”. Coral Speak for Louise Devenish is a percussion suite of laments and playful dances in homage to the fragility of the Great Barrier Reef, where the corals are currently under threat due to climate changes and human intervention. Each piece imagines the colourful interplay of movement between the living corals, joyful sentient creatures celebrating the their idyllic surrounding and utopian waters. The pieces have a melancholic edge at the prospect of the corals retreating and dissipating as the water changes. The ebullient dance of life and beauty comes to an abrupt halt as it is silenced and abandoned, leaving behind a skeleton like a ruined underwater city that once thrived, never to return. Coral Speak instrument (July 2016) – handmade corals and reader to be performed by percussionist Louise Devenish. 25 July 2016 Cellist Francesco Dillon premiered Rebellion for solo cello in a program featuring Australian composers including Liza Lim, Peter Sculthorpe and Matthew Schlomowitz. I had the great pleasure of visiting Mahler’s composing studio where he and Alma were in resident. The festival was Klagenfurt Vitkring Music Festival Austria. Stories for Ocean Shells performed by cellist Ashley Bathgate is now available Cantaloupe. Australian composer Kate Moore has worked with a wide range of ensembles, including Slagwerk Den Haag, Amsterdam Sinfonietta, The Amsterdam Cello Octet, The New European Ensemble, Alarm Will Sound, the Bang on a Can All-Stars and many more. On her Cantaloupe Music debut with All-Stars cellist Ashley Bathgate, she brings a uniquely vivid, contemplative and almost spiritual voice to these six new compositions for the cello. Moore and Bathgate first met back in 2009; since then, the two have collaborated, whenever timing and schedules would allow, on a wide-focus musical excursion that uncovers the full range of the instrument. Both artists have a deep familiarity with the major repertoire, from Elgar to Dvorak, Fauré, Bach and Beethoven, and over the years, they have developed and sculpted their own original language — Bathgate, through the subtlety and color of her playing, and Moore through the idiomatic and dynamic vocabulary that she brings to the fore as a composer.